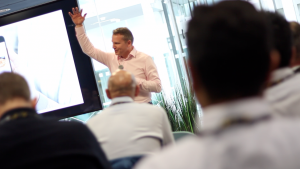 On 21st March, We hosted an afternoon of discussions, expert speakers and networking, all on the subject of creating intelligence from your data, and how Google Cloud is helping big businesses stay ahead of the curve. 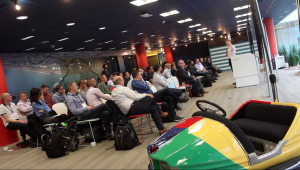 Joined by speakers from Google Cloud and Just Eat at Google Academy London, the exclusive Google Cloud event provided an atmosphere where clients, partners and friends gathered to hear impressive examples of Cloud in action. Held in the funfair-themed surroundings of Google Academy London, the Create Intelligence From Your Data event began with an introduction from Netpremacy’s Commercial Director Andrew Martin on Netpremacy’s relationship with Google and their simple mission statement: to ‘solve complex problems with innovative technology’. The first speaker of the afternoon and one of Netpremacy’s clients, Just Eat’s Matt Cresswell, offered the group a behind the scenes look at how Just Eat have recently transformed their data processes from Redshift to Google Cloud Platform, providing them with a holistic view of customers and in turn making their platform more algorithmic. 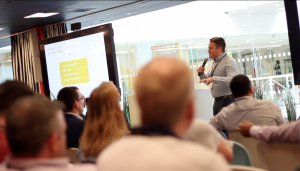 Matt went on to explain how Machine Learning is powering personalisation and how Just Eat are working to ultimately collate a single view of a customer using the data they collect to personalise each customer experience. Jon Watson, the next speaker of the day, gave a valuable insight on the business of AI from his position as a Google Cloud Engineering Lead. By 2021, 75% of enterprise applications will use AI, something which Jon explained using current examples, such as DPD, Ocado and Moorfields Eye Hospital. Jon also touched on the integration of human intelligence and AI, and how these processes can be streamlined with Machine Learning. 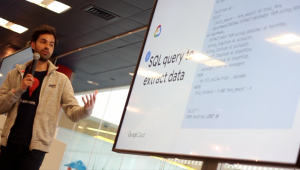 After a break for drinks and networking, Omer Mahmood, Customer Engineer at Google Cloud, gave the group a live demo of Geospatial Analytics and Machine Learning in BigQuery. Omer went on to explain the benefits of these processes in obtaining rich insights about your customers. 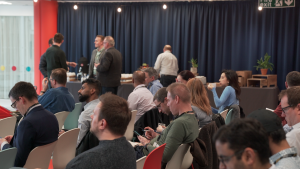 Ending the afternoon with networking, the group expressed how valuable the afternoon at Google Academy London was in educating each person in exactly how big businesses are using Google Cloud Platform to handle and process large amounts of data effectively. We host a number of different events with different focuses throughout the year. Keep updated on our upcoming events here – we look forward to seeing you at the next one!